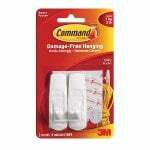 These 3M Command Cord Clips are made to hold and secure standard sized cords to many different surfaces. 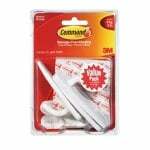 They can be used to organize many kinds of cords - computer cords, lamp cords, holiday lights, speaker wires, and more - to the wall, floor, ceiling, and elsewhere. 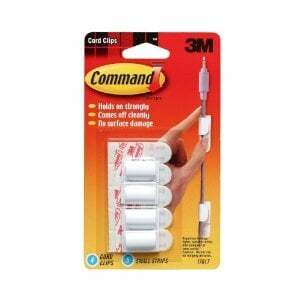 These 3M Command cord clips use a Command Adhesive that sticks strong enough to secure your cord(s) while removing cleanly and not scuffing up your wall, floor, or ceiling.